What are the Best Nuts for Keto? Nuts are one of the healthiest types of food you can find. With their high monounsaturated fat content, impressive amount of nutrients, and ability to reduce the risk of various diseases, they really shouldn’t be left out of our diets. According to the Australia Nutrition Foundation, nuts are basically plants’ ovaries that become hard during maturity. Some of the most popular types of keto nuts include pecans, Brazil nuts, macadamia nuts, walnuts, hazelnuts, pine nuts, almonds, peanuts, pistachios, and cashew nuts. Pistachios and cashews — Should you avoid them? The ketogenic diet can be beneficial for your health, but it can be challenging to follow as it’s often confusing, especially for those that are new to the concept. For example nuts — how can something that is generally healthy and high in fat content be bad for you if the keto diet recommends high-fat intake? As with other types of food, there are pros and cons to nuts. Even though they’re considered super healthy, certain nuts can kick you out of ketosis if you’re not careful, because some of them are high in calories and carbohydrates. Nuts are — together with olive oil and avocados — a healthy source of monounsaturated fatty acids (MUFAs), simple fat molecules with one unsaturated carbon bond in the molecule and — big asterisk here — most of them are low in carbs, with a few exceptions. According to a study published last year in the American Journal of Clinical Nutrition, plant-based monounsaturated fats — such as those from nuts and seeds — can lower your chances of cardiovascular disease. Nuts offer a selection of essential nutrients, including several vitamins in the Vitamin B family, vitamin E, minerals such as iron, zinc, calcium, magnesium, and potassium, as well as antioxidant minerals (manganese, selenium, and copper). Nuts also offer a wide range of other antioxidant compounds (flavonoids and resveratrol) and plant sterols. Soluble fiber — the variety abundant in nuts and seeds — helps to decrease glucose levels and lowers bad cholesterol. A few larger studies have shown that consuming fiber-rich foods lowers the chances of coronary heart disease. There’s no good anti-inflammatory diet without nuts, especially almonds and walnuts. Studies have linked nuts with reduced inflammation markers and a lower risk of cardiovascular disease and diabetes. Nuts are rich in magnesium and vitamin E, and studies have shown that people who eat a diet high in these important nutrients tend to have a lower risk of inflammation and higher levels of anti-inflammatory proteins in the body. A small study conducted among Greek women has shown that consuming nuts can reduce the risk of endometrial cancer up to 27 percent. Again, most responsible for this are antioxidants such as vitamin E, sterols, and phytoestrogens. According to Dr. Andrew Weil, omega-3 from walnuts can be part of a regular therapy for uterine cancer. Preliminary studies have suggested that nuts may play a role in preventing gallstones — one of the leading gastrointestinal causes of morbidity in the Western world. This is actually an old idea. A 20-year long study showed that consuming 5 oz of nuts (slightly more than 140 g) — due to their unsaturated fat content, fiber, magnesium and other nutrients — decreases gallstones in both men and women. The same study proved that not all nuts have the same benefits. Nuts are both filling and nutritious, which is a rare combination. In addition, they’re easy to carry in case you need a healthy snack during the day. Most packaging nowadays emphasizes how many serving you get in a bag, so it’s easier to stick to your diet plan. It’s easy to over-consume nuts as they’re so delicious and high in calories, particularly if you eat salted and spiced varieties. Added salt and sugar make the nuts tasty and almost addictive for most people — which brings us to the next problem. It’s recommended to eat just a few pieces in one sitting (28 grams or 1 ounce), but really — who are we kidding — it’s hard to stop. Eating too many nuts is a common problem that can be addressed with a simple solution — never eating nuts out of the bag. You shouldn’t be mindlessly munching nuts while watching TV. Make sure to instead enjoy them deliberately and mindfully. Put the amount that is recommended for the variety in a small bowl and put away the rest. Too many nuts, especially those high in carbs such as cashews or pistachios can interfere with your ketosis and you don’t want that. Phytic acid is an enzyme present in raw nuts and other plants that serves as a protective layer against predators and premature sprouting. This enzyme can’t be broken down by the body, so you’re often left with bloating and abdominal discomfort. Phytic acid can also cause malabsorption of major nutrients such as calcium, magnesium, zinc, manganese, and iron. This anti-nutrient can be removed by soaking the nuts in water overnight or drying them for a few weeks before consumption. Net carbs is a calculation of the total carbohydrates without the carbs from fiber. Even though fiber is a type of carbohydrate, it’s indigestible, meaning there’s no need to include it into your carb limit calculations. Roughly speaking, most nuts are low in net carbs when compared to their high fat content, but their nutrition values differ and some of them are more keto-friendly than others. 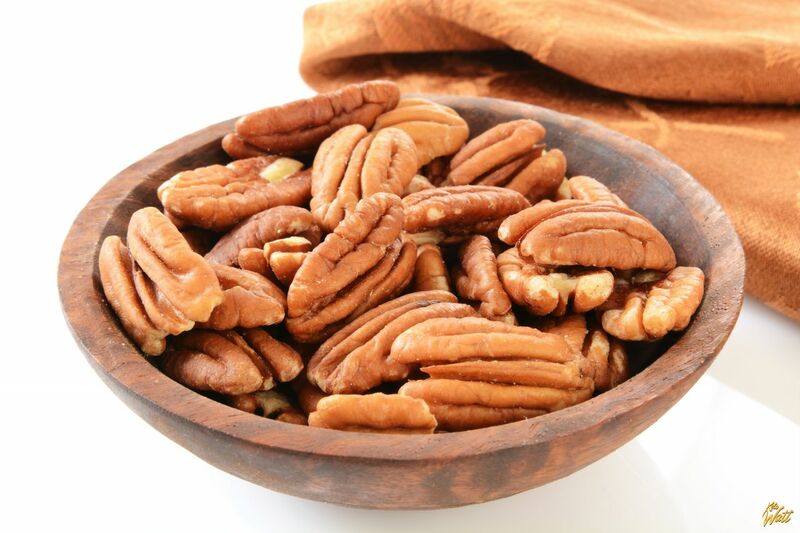 Nutrition — Thanks to their low carbohydrate content, pecan nuts have settled on the first place of the unofficial top keto nuts list. With only 4 grams of net carbs per 100 grams (3 ½ ounces), they contain no cholesterol or sodium and are rich in vitamins A and E, as well as calcium, zinc, and potassium. Health Benefits — According to observational and intervention studies, consumption of pecans is strongly associated with reduced risk of cardiovascular disease and type 2 diabetes. Another study conducted by the University of Georgia has found that sterols from pecans have the power to lower blood cholesterol. Gamma-Tocopherol (a form of Vitamin E) in pecan nuts may improve intestinal health and keep the prostate healthy. 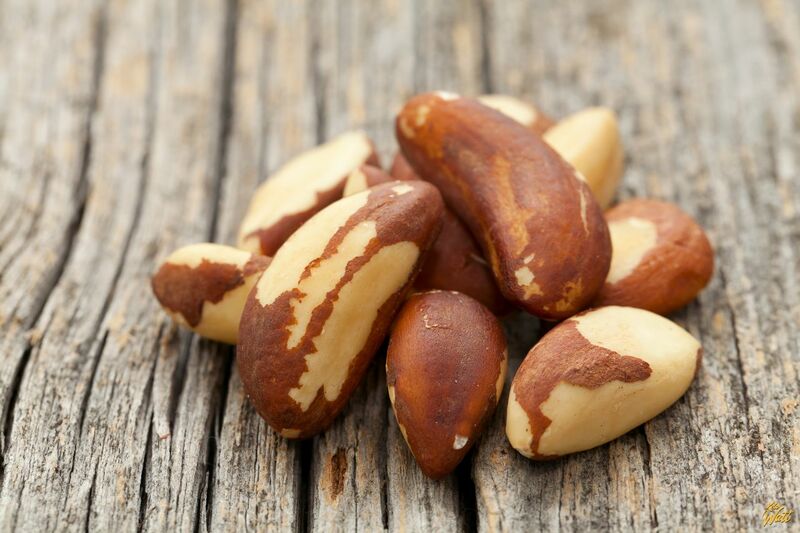 Nutrition — This large nut originally from Brazil (hence the name) is a super source of selenium. A 100-gram serving contains only 4 grams of net carbs, which makes these nuts ideal for the keto diet. Health benefits — Selenium has the ability to fight inflammation, lowers the risk of cancer and cardiovascular disease, improves blood flow, and serves as an antioxidant. How to consume — Because they’re abundant in selenium, which can be toxic if consumed in high doses, it’s recommended to eat no more than two Brazil nuts per day. Nutrition — Macadamia nuts only have 5 g of carbs per 100 g, which makes it hard to ingest too many carbs. This is why many keto dieters go nuts for them. Of all nuts, they have the highest monounsaturated fat, thiamin, and manganese content. Health benefits — Being rich in healthy fatty acids — like all nuts — makes macadamias good for cardiovascular health. They’ve also been proven useful in fighting inflammation and can keep bones strong thanks to their high phosphorus content. Just be careful if you have damaged kidneys, excess phosphorus can cause allergies and other problems if it can’t be expelled out of the system. 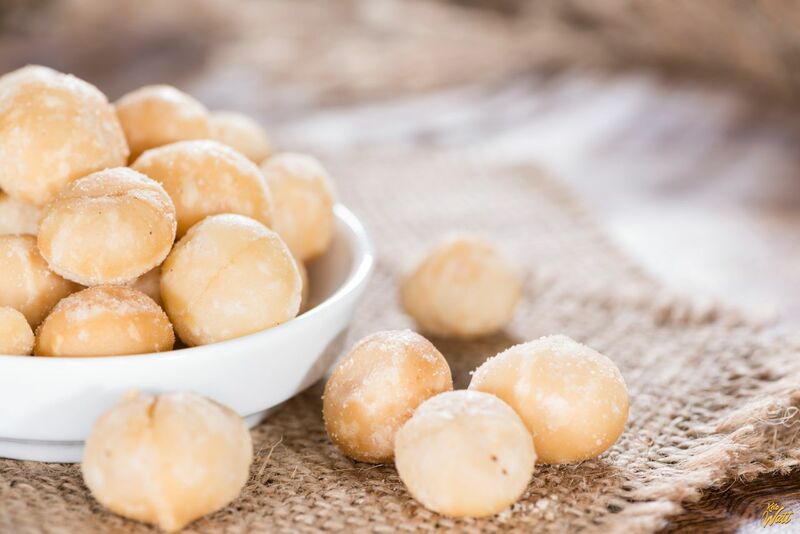 How to consume macadamias — They can be eaten raw or roasted, it depends on your preference. Raw is always best, but if you’re purchasing roasted nuts, make sure that they’re not roasted in oil since they already have all the necessary oil. Also, if you’re not planning on eating raw macadamias soon, it’s good to freeze them to avoid spoilage. Nutrition — A 100-gram serving contains 7 grams of carbohydrates, which makes them okay to be mindfully consumed on your keto journey. 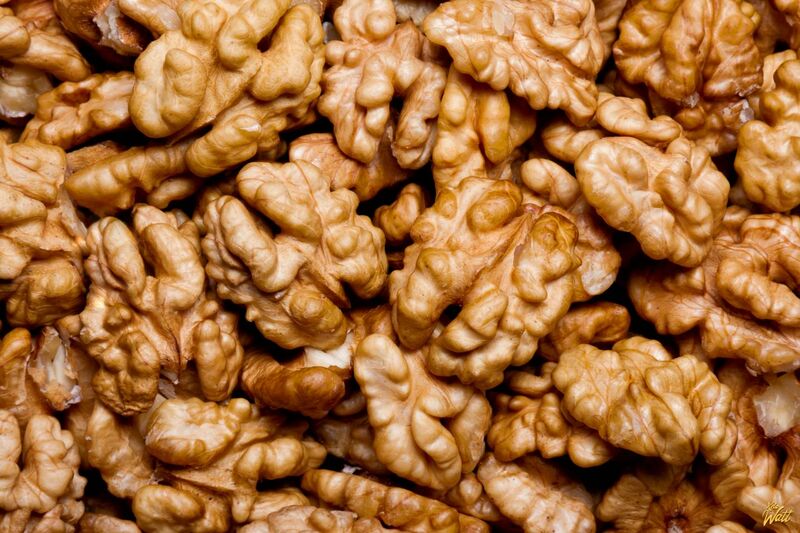 Walnuts are abundant in antioxidants. Health benefits — Besides their high polyunsaturated fatty acid (PUFA) content, walnuts are rich in alpha-Linolenic acid (a form of omega-3), and thus differ from other nuts. One study found that eating walnuts regularly for six weeks significantly increases the amount of red blood cells, linoleic acid, and pyridoxal phosphate. How to consume walnuts — They are quite tasty to eat on their own, but can also be added to keto-friendly dishes, salads, and cakes. Nutrition — A 100-gram amount of hazelnuts has 7 grams of carbs, which makes hazelnuts fine to consume on the keto diet if you don’t eat them with chocolate or sugar. Yes, they have a few more grams of carbs when compared to pecans or macadamias, but they can still be part of a low-carb diet if consumed carefully. Health benefits — According to an exhaustive systematic review study, scientists have proven that a hazelnut rich diet can lower your cholesterol levels without affecting your HDL or “good” cholesterol. 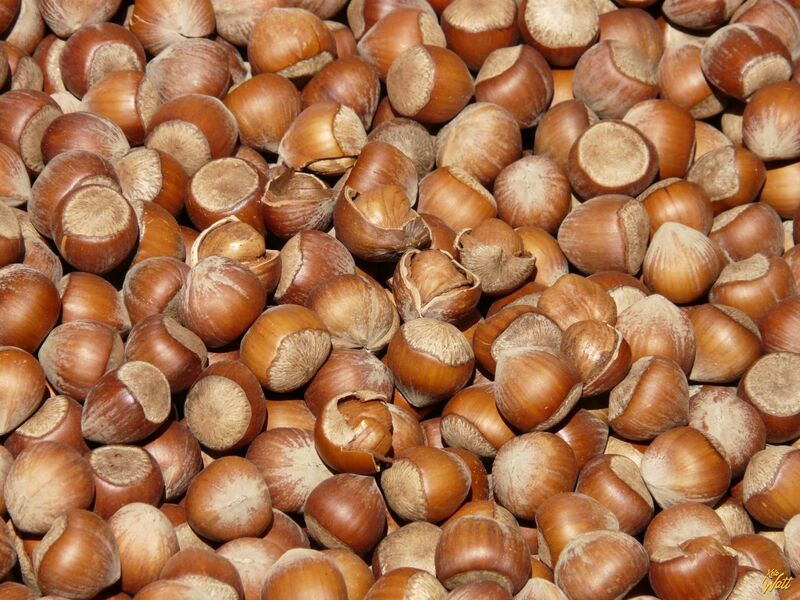 How to consume hazelnuts — Once they’re out of the shell, hazelnuts can be eaten raw, or roasted. The skin can be quite bitter, and some people prefer to remove it. The easiest way to do this is to toast the hazelnuts for 10 minutes in a preheated oven and agitate them around in a coarse colander. This will cause all the skins to break off easily. 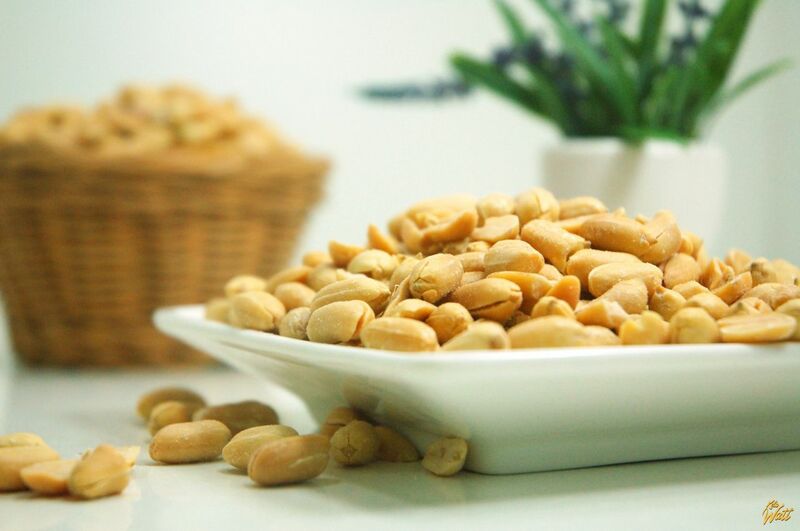 Nutrition — 100 grams of peanuts contains 7 grams of carbs – which means it’s fine to consume on the keto diet if eaten in moderate quantities, but a few spoonfuls of peanut butter in the midnight hour every night would probably get you in trouble quickly. Health benefits — Many research studies have proven that peanut butter contains plenty of healthy monounsaturated fatty acids, magnesium, potassium, and other bioactive components, a combination that works together in diabetes and cancer prevention, lowers blood pressure, fights inflammation, and benefits our health in many other ways. How to consume peanuts — Peanuts are most commonly consumed raw, salted, and in a form of peanut butter. Peanut milk is a good replacement for regular high-carb milk. 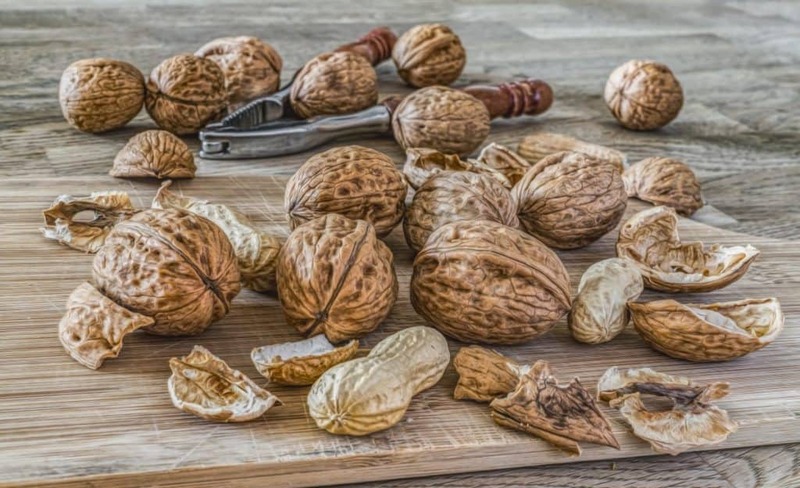 Nutrition — Also called pignolias, these nuts sit on the border between keto-friendly and those that you should avoid, with 9 grams of net carbs in every 100 grams. Health benefits — The recommended serving of 28 grams (1 ounce) of pine nuts contains 70 mg of magnesium, and plenty of antioxidants and vitamin E. Studies have found that eating just three pine nuts about five times a week can help lower the risk of heart disease and type 2 diabetes mellitus. These nuts are a real powerhouse of nutrients that work together to protect the heart. 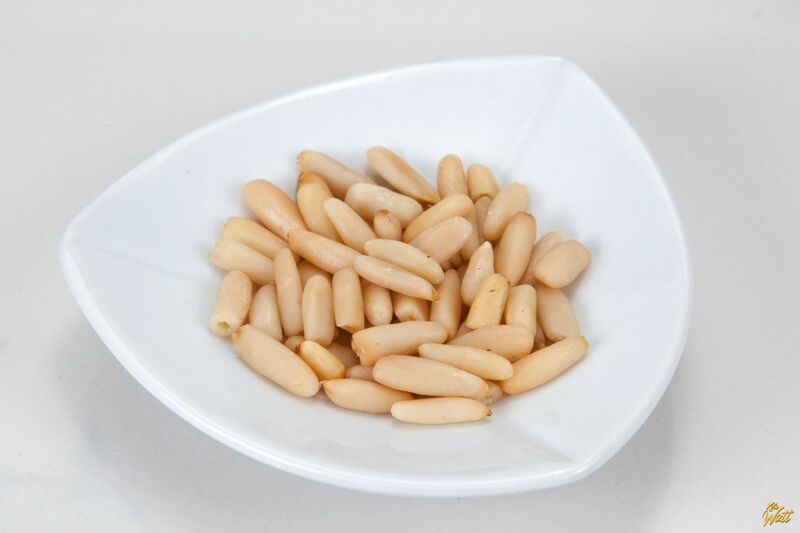 How to consume — Pine nuts can be eaten raw but to add more flavor, they are usually roasted or toasted. These nuts are an essential ingredient in Italian pesto sauce. Pesto is keto-friendly, just make sure it doesn’t contain emulsifiers and other additives that can mess up your diet, or make your own pesto at home. Nutrition — A 100-gram amount of almonds has 10 grams of net carbs. They provide more than 20 percent of the recommended daily amount of several B vitamins, calcium, zinc, and vitamin E. Almonds are also rich in fiber, magnesium, and phytosterols. Health benefits — Thanks to their rich antioxidant content, almonds are able to lower cholesterol levels, decrease blood pressure, and protect your heart. Even though some people claim that tannin from the almond peel can affect nutrient absorption, there are actual studies claiming that polyphenols from the peel aid gut microbiota. 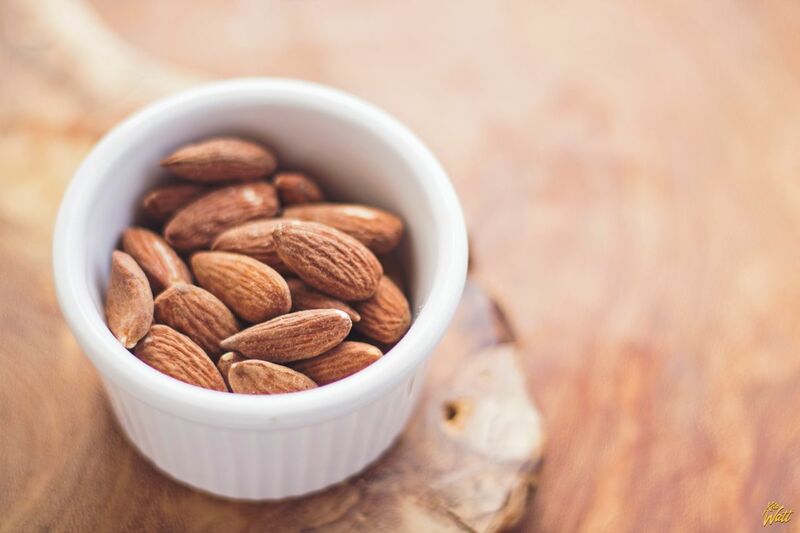 According to Molly Morgan, a registered dietician and nutritionist, almonds are rich in magnesium which helps to easily move body waste through the intestines. How to consume almonds — You can purchase almonds raw, dry-roasted, oil roasted, or blanched. Raw almonds should be soaked in water overnight to avoid nutrient malabsorption due to phytic acid as discussed above. Almond milk and flour are popular keto replacements for high-carb varieties of milk and flour. Make sure to consume only sweet almonds if you want to eat them raw. Raw and bitter variety contains cyanogenic glycosides and — according to research — the acute lethal dose for humans is around 50 bitter almonds for adults, while just 5–10 bitter almonds are fatal for young children. Pistachios contain 18 grams of net carbs per 100 grams. 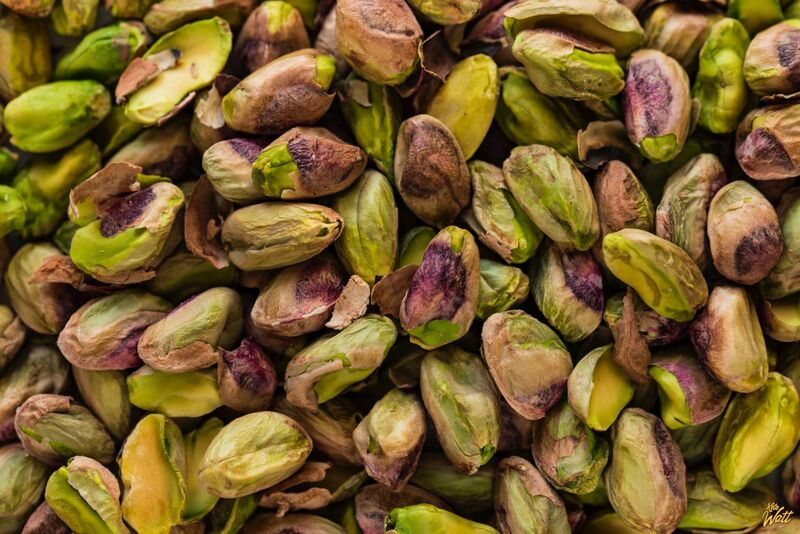 Even though research has shown that eating pistachios for three months can reduce glucose levels and concentrations of LDL cholesterol, most people on the keto diet prefer to avoid them altogether. It’s up to you; if you want to maintain ketosis, they are definitely something that you can live without. 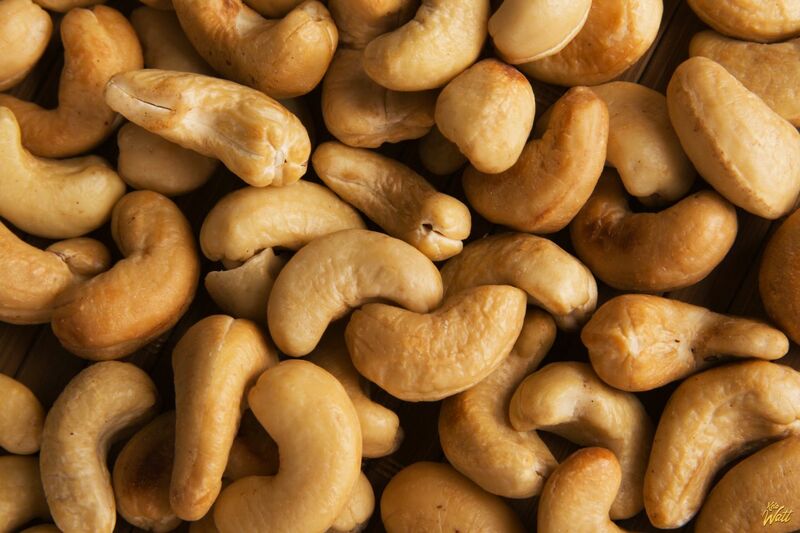 Cashews are healthy and high in fat content, but unfortunately, they’re also high in carbohydrates. How high, one might ask. Well, 100 grams of these keto-unfriendly nuts contain a whopping 27 grams of carbs, which makes them unacceptable for most keto dieters. This doesn’t mean you have to avoid pistachios and cashews completely, but it’s just something to have in mind while reaching for that handful. They’re still much lower in carbs than — let’s say — M&M candy, which contains a whopping 70 grams of carbs per 100 grams. There’s a rule of thumb that 100 g of nuts is around three handfuls, and most nutritionists recommend a daily intake of no more than 30 g (a small handful). Although this rough measurement can be useful sometimes, you shouldn’t rely on such a rough guide mostly because not all hands are the same size. This is also just a rough guide in case you don’t have a scale handy because each nut is different is size, but it’s still a better measurement than a “handful”. If you buy pre-packed nuts, make sure to read labels. Avoid eating nuts with added ingredients and labels such as “sweet chili”, “chocolate-covered”, or “honey roasted”. The best option is to go to a health food store and purchase some organic nuts. Look out for serving sizes on the packaging. If a bag of nuts says “6 servings” don’t eat the whole thing in a single sitting or you might be in trouble soon. Perhaps you prefer peanuts or pistachios over pecans and Brazil nuts, but they are higher in carbs and they can mess up your ketosis or weight-loss. Also, the nutritive content in various nuts is diverse; to get all the benefits, you should be eating as many kinds of nuts as possible. Cut back on nuts for awhile or choose types lower in calories if you find that your ketosis or weight loss is suffering. The quality of fat that comes from nuts over some other food sources is proven by the Health Professionals Follow-up Study, where men who consumed a lot of meat tended to die younger from heart-related disease and cancer, but if the serving of meat is replaced with a serving of nuts, the risk of dying young drops about 20 percent. Of course, this is not a message to avoid meat, but rather to consume it mindfully, as well as a suggestion to include more than one source of fat into your diet. Each nut variety has its own unique combo of vitamins and minerals and it’s crucial to consume them on different days for optimal health benefits. While pecans, Brazil nuts, macadamia nuts, and walnuts represent the best options for the keto diet, it would be smart to be a bit restrictive with nut varieties such as hazelnuts, peanuts, pine nuts, and almonds. Although they’re not amazing for keto dieters, you can get away with a few pieces here and there. Pistachios and cashews are abundant in carbs and are not recommended for keto dieters. This is especially important if you’re on your way to ketosis, want to lose some weight, or reverse type 2 diabetes. All nuts have high fat content which means they can go rancid fast and it would be smart to refrigerate them at all times.